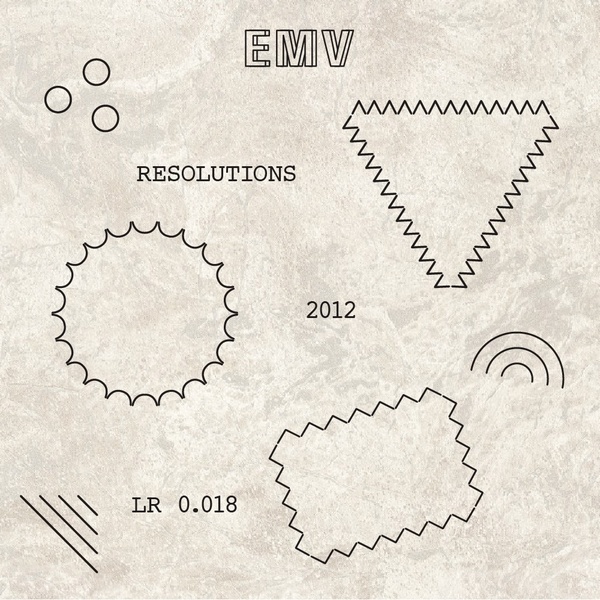 Leaving Records welcome EMV to their fold with the fuzzy pressure systems of his debut album. Equal parts Dilla, La Monte Young and Jodorowski, 'Resolutions' sets his sound in a parched scape of salted beats and fuggy-headed atmospheres with that medicated LA lean. Over his 15 original tracks (and a cosmic Dem Hunger remix) gritty textures gleaned from field recordings and lo-fi equipment create coruscating surfaces which guard the almost psychoacoustic trickery occurring below, creating two distinctly swirling planes of reality in flux which intermingle yet somehow remain independent. It's a potently psychedelic affair, brilliantly unstable and warped as f**k.